At Cathryn Hrudicka & Associates, we can help you develop your own print magazine, catalog or newsletter, or a blog, e-zine or e-letter. We can also help you query publications, trade papers and internet article markets and write and submit your own articles. We advise authors about some aspects of publishing or self-publishing, and we can also refer you to other professionals if we are unable to help you—we’ve got great resources. Additionally, we team up with highly regarded colleagues who can help you create your own podcast, or develop a marketing or training DVD, video or audio CD, mp3, and other formats. Just shoot us an email and tell us what you need. We can refer you to other esteemed colleagues, if your project needs specialized input—give us a call or email us today. 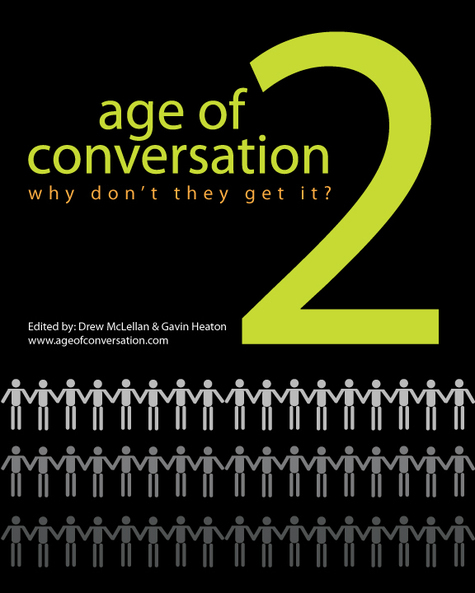 By the way…I’m a Contributing Author to the recently published Age of Conversation 2: Why Don’t They Get It? Age of Conversation 2: Why Don’t They Get It? is now officially on sale in hardcover, paperback and ebook versions! You can also order it by going to the AOC2 widget in the left sidebar, which links to the Lulu Press sales site. 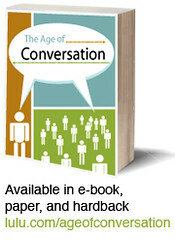 The first Age of Conversation book, published in 2007, featured 102 expert authors. 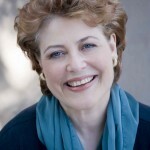 David Armano, Vice President of Experience Design with Critical Mass, and a contributing author, designed the cover of this sequel, as he did for the first Age of Conversation. The unflappable co-editors, Drew McLellan and Gavin Heaton, located respectively in Iowa and Australia, have returned to shepherd the authors of the second book into submission—and they’ve done a great job again, persevering through challenges that would have driven other editors to distraction. But they’ve kept their eyes on the prize, producing a truly updated and in-depth book that is a must-have resource for anyone planning to use the Web for marketing, branding, PR, or building an online community. So, is it worth buying the sequel if you’ve already bought the first one? My honest response—if you bought the first book, you’re going to want this one, too. There’s so much new material and added topic areas in the new book, you’ll find you’ll want both as a set. There have been so many shifts in social media tools and the ways we do business just in the past year, it’s necessary to keep up with the new thinking in the 2008 sequel, which contains almost three times as many pages, written by 237 authors this time. For transparency here, I must admit that I’m one of them. My own chapter in the book is entitled, “Creativity Comes from Conversation—What’s Innovation Got to Do with It?” As a sneak preview, I will only say that it was written for a section of the book called A New Brand of Creative, which explores the idea that now that many companies and organizations are integrating social media, social networks and online communities into their overall marketing and public relations outreach, does that mean we need some new thinking about the qualities and skills of people we hire to fill not only those roles, but also other positions in an organization? Does the Age of Conversation imply that we need to change not only hiring, but also, our staff training procedures? 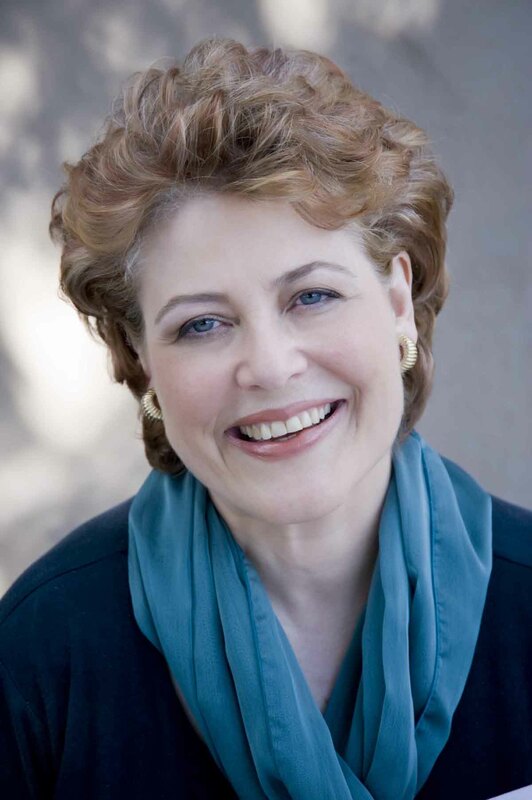 I’ve drawn upon my experiences as a creativity and innovation consultant, executive coach, management consultant and trainer, as well as my PR, social media and marketing background, in writing my chapter. Manifestos; The Accidental Marketer; A New Brand of Creative; My Marketing Tragedy; Life in the Conversation Lane; Keeping Secrets; From Conversation to Action; and Business Models. 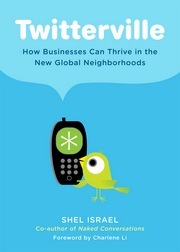 Another great reason to buy The Age of Conversation 2008: Why Don’t They Get It? 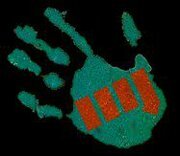 is that, like the first book, net proceeds will go to Variety, the Children’s Charity, which has raised over $1.5 billion to date for children’s causes around the world, according to the organization’s web site. I was pleasantly surprised to see a van in my own Berkeley neighborhood that is used to transport disabled children to programs run by Bay Area Outreach & Recreation Program, which was partially funded by Variety.